NB and SB at Marcellus CR 124 on the north side of Otisco Lake. Neither is worthy of a state highway. Ninemile Creek leaving Otisco Lake, heading north on the east side of NY 174 toward the Seneca River. 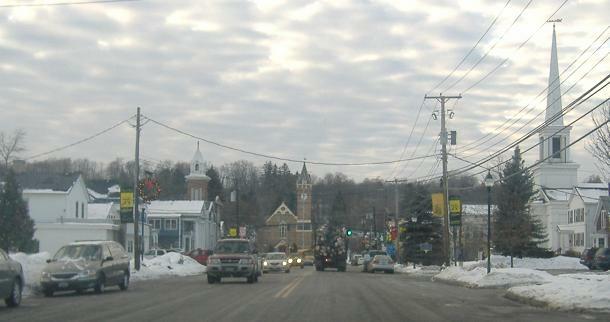 NB through Marcellus (heading west from the end of the NY 175 duplex). It's especially pretty in winter. 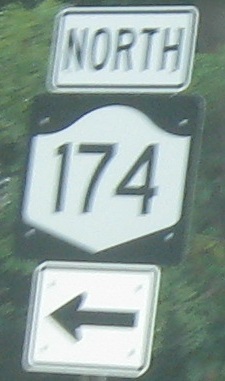 NY 174 turns right, leaving Seneca Turnpike in the last photo. 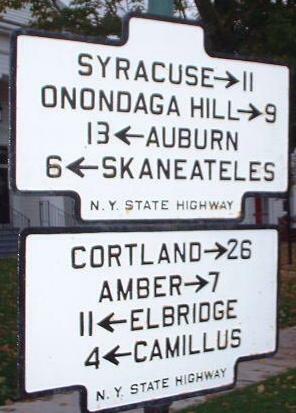 The first photo of these 1930's (or 1920's even) signs is courtesy Doug Kerr. 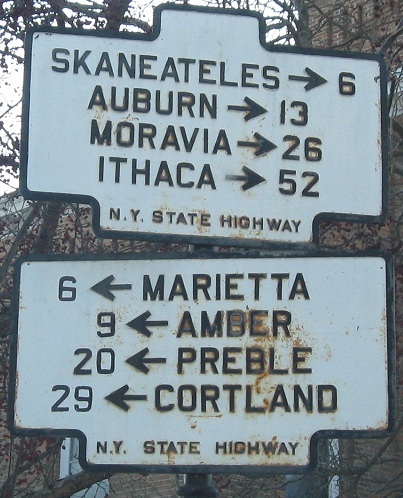 I didn't see it, but it may have been on old NY 174/175 (South St.) at their split. 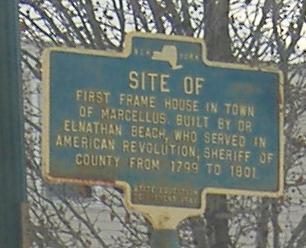 The second photo is in downtown Marcellus where former NY 174/175 turn left from Main St. onto South St. The top and bottom signs started out at 90 degrees - top sign angled for SB traffic, bottom sign angled for WB traffic. Old Seneca Tpk., which heads west from here, may have been former NY 5. 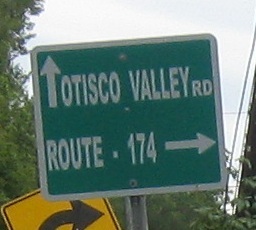 To the east, Old Seneca follows NY 175 and 173 until NY 173 meets 5, and then turns into Franklin St. into Auburn, meeting 5 just before US 20. 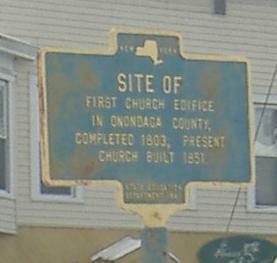 The back side of the second set of signs, looking north on South St.